Dreaming is a topic that has fascinated and illuminated humanity throughout history. Dreams as revealed by Carl Jung, Sigmund Freud, Eugene Aserinsky, Edgar Cayce, and a host of psychological, cultural and religious traditions, suggest that dreams can be a primary methodology for accessing higher levels of mind, consciousness and self-power. This workshop is designed to assist the participants in understanding the dreaming and writing processes, and how they can be utilized as tools for self-discovery, growth and transformation. The intent of this discourse is to provide the Learner with an overview of how the subconscious can be penetrated through the dreaming process, as a mechanism to access information. Additionally, the workshop will explore how writing can be used as a tool to record that information, for increased concentration, clarity, and amplification. Dr. Phyllis Baker is Professor Emeritus of Sociology at the Wolfson Campus of Miami-Dade College. Phyllis has been recognized in the Miami Herald as an outstanding professor on several occasions. Professor Baker is the recipient of the National Leadership Award given by the American Association for Community Colleges and The Innovator of the Year Award given by the National League of Innovation. 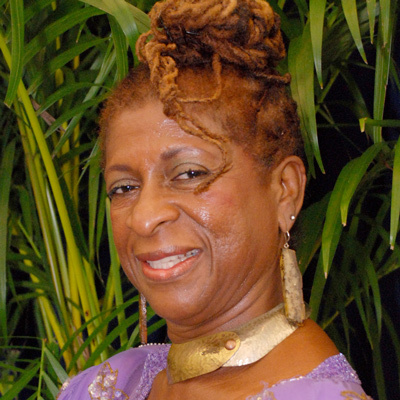 Dr. Phyllis Baker teaches Sociology and Anthropology Courses at Florida International University. Dr. Baker is the owner of the recently opened The Baker House, a Space for Spiritual and Artistic Development. Professor Baker is the author of the following books: A Dreamer’s Journey: The Fundamentals, Principles and Practices of African American Spirituality, and Introduction to Ritual, Myth, and Mysticism.